If youre a creative editor, you want an editing tool that not only makes storytelling simple, but helps you track your project, organize your media, and pull you through the trouble spots. Thats why so many professionals trust their best ideas to Avid Media Composer. Unsurpassed creative tools, rock-solid media management, and the highest quality effects and output make Media Composer the most powerful editing solution available. Faster and better than ever. Professional editors and producers like you around the world have told us what you need to succeed. More efficient and easy-to-use video editing tools. An open platform that enables you to work with everything you want and integrate into any workflow. More power to eliminate bottlenecks, so you can work faster than ever. We listened. We took notes. We made it happen. - Accelerate high-res workflows - More content today is shot with high-res cameras, but the majority of programming is still HD. With the new FrameFlex tools, you can immediately start working in HD directly from high-res sources and maintain full creative control of the image reframing and keyframing, from beginning to end. In addition, 1D/3D Look Up Tables (LUTs) and Color Decision Lists (CDLs) make it easy to perform real-time RAW and LogC to Rec. 709 color space conversions. - Automate media management - Gain more time for creativity with new features that accelerate and simplify file-based workflows. With Dynamic Media Folders, non-creative media tasks such as transcoding, copying, and consolidating can be automated in the background, without disrupting your editorial flow. Plus, youll get peace of mind as Media Composer now fully manages AMA-linked media as reliably as it does with native Avid media. - Extend real-time production everywhere - Edit, share, tag, track, and sync media and projects with everyone on your editing team - no matter where you are in the world. Media Composer Interplay Edition provides full Interplay Production, Interplay Central, and Interplay Sphere support on Mac and PC, making remote cloud-based collaboration easy and cost-effective. Whats more, you can edit just as efficiently as you would if you were all at the home facility, using the same tools and workflows you know and trust. (Interplay Edition only). - Gain total audio control - Forget wasting time mixing down audio levels by trial and error. With the new Master Audio Fader, you can insert RTAS plug-ins to tweak tones and optimize the overall program loudness, making broadcast regulation adherence quick and easy. You can also now make audio adjustments to any clip directly in the timeline - independently of any track-based automation - with the Clip Gain control. - Add Symphony as an option - Get advanced color, effects, and mastering tools, now available as an MC add-on. 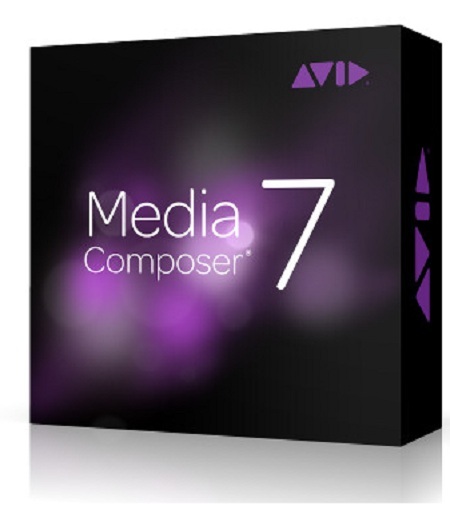 Avid Media Composer 7.0.3 (Win64)-VR :11*5*2014 Fast Download via Rapidshare Hotfile Fileserve Filesonic Megaupload, Avid Media Composer 7.0.3 (Win64)-VR :11*5*2014 Torrents and Emule Download or anything related.